I subscribe to the philosophy that small town life can be healthy for kids. Free-range mobility, a sense of community, and that “everyone is watching out for me” sort of security feels pure and good, at least to me. In Alaska, small towns are more the norm than the exception, and in the case of tourism, can provide families an excellent opportunity to become part daily life. How? Just show up. 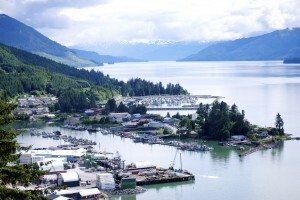 Wrangell, Alaska sits on Wrangell Island. 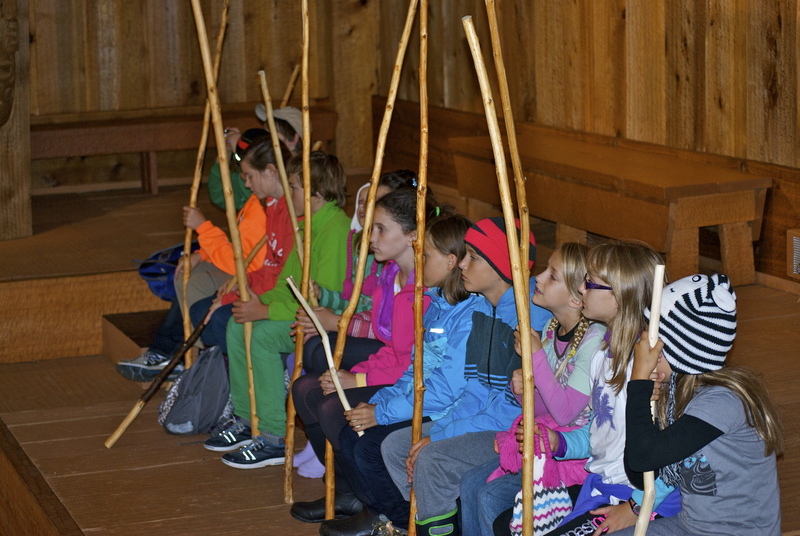 Kids participate in the "welcome dance" at Chief Shakes House in Wrangell. WRANGELL. Located 90 miles north of Ketchikan, the community of Wrangell is not on most cruise ship routes. 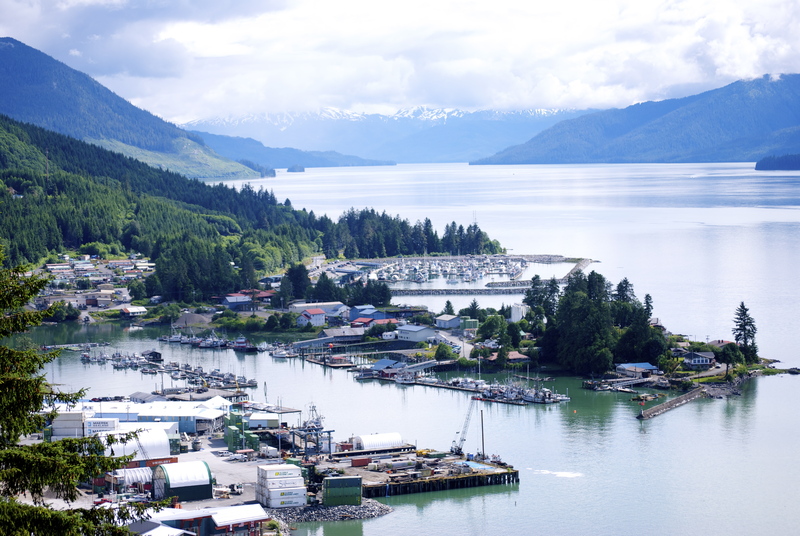 Situated on picturesque and historic Wrangell Island, this southeast community relies upon fishing industries and some tourism after a 21st century policy switch reduced the timber industry to sawdust. Reach Wrangell via Alaska Marine Highway (ferry), or through daily service on Alaska Airlines. 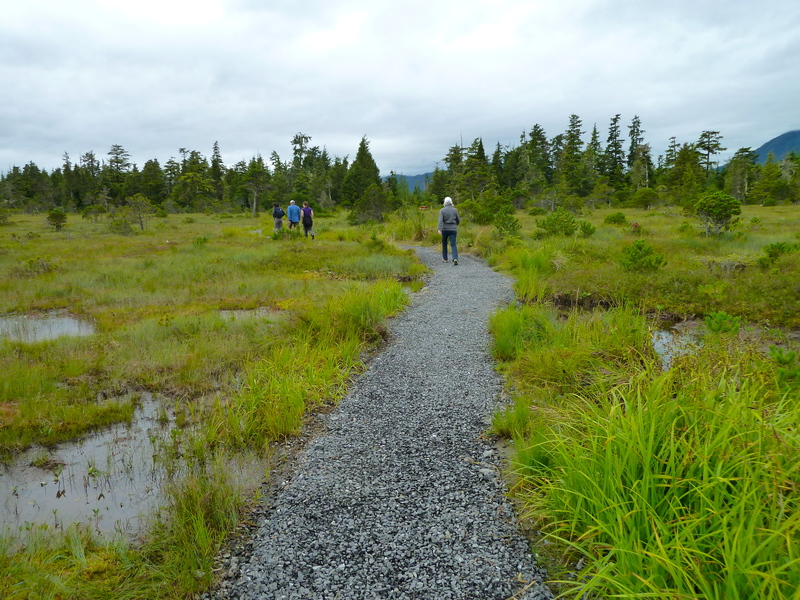 Either way, find lush forest landscapes, foggy inlets, and a ton of Alaska history within walking distance. 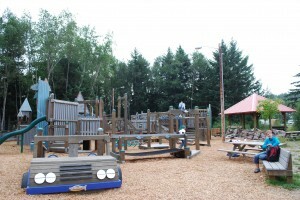 The Wrangell Convention and Visitors Bureau is a helpful first stop for maps, attractions, and the excellent James and Elsie Nolan Center museum. 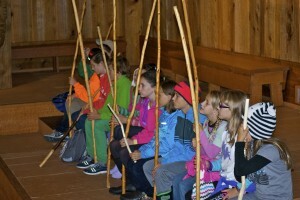 Try the newly-renovated Chief Shakes House for a bit of Alaska Native culture and history, with daily programs during the summer and an interactive dance for kids. Take a walk out to Petroglyph Beach, where ancient carvings upon beach rocks tell a story not fully understood, even today. Hike scenic Mt. Dewey Trail from downtown and pick blueberries along the way. Tours include a Stikine River adventure, where glaciers and wildlife abound, or the famous Anan Wildlife Observatory, requiring a boat ride or float plane trip from downtown. This is the only place where black and brown bears congregate in Anan Creek, feasting upon salmon each summer. 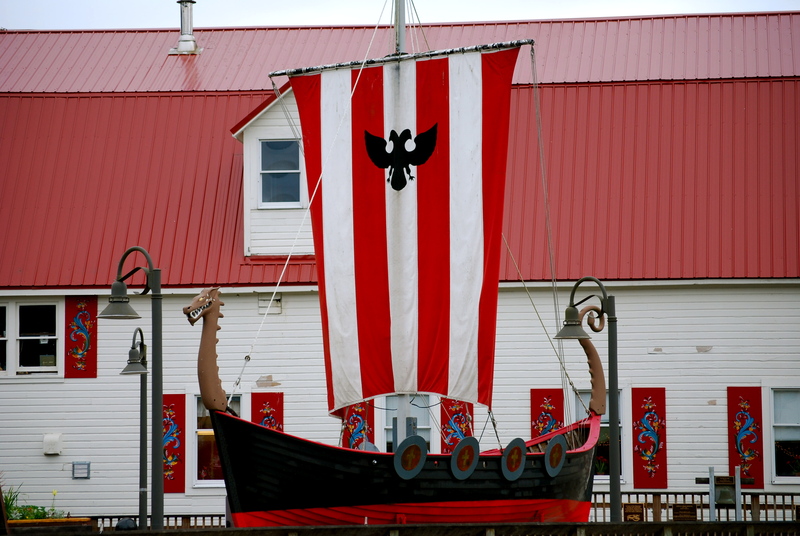 Norwegian heritage is evident in Petersburg, Alaska. Petersburg's local trails are just right for kids! PETERSBURG. 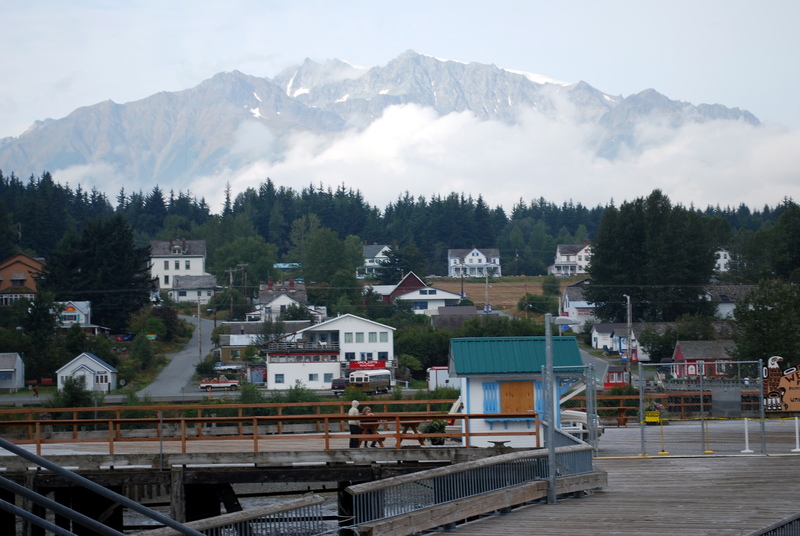 Just up the Inside Passage from Wrangell lies Petersburg, known as “Little Norway.” Founded by a young Norwegian named Peter Buschmann in 1897, the city’s main source of income is fishing, and packing, freezing, and canning of salmon, halibut, and other seafaring delicacies. On the route of Alaska Airlines, with twice-daily service from either Seattle or Anchorage (and points in between, known as the “Milk Run”), and the Alaska Marine Highway, Petersburg gets a fair amount of traffic each summer. 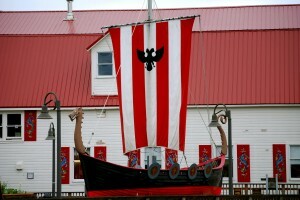 The “Little Norway” tag is not only due to the name; the community is proud of its Norwegian heritage, with everything and everyone invested in the culture. The Petersburg Chamber of Commerce and Visitor Center is located close to the harbor area, where everything from restaurants to local walks and hikes can be found. They also have some free stuff for kids. We like theClausen Memorial Museum on Fram Street. It’s small, easy to find, and is a nice place to acquire a bit of the town’s history. Not for smaller kids, however, the museum is lacking in a certain amount of hands-on aspects that could benefit younger visitors. Recommended for kids grade school and up. Walks are very accessible in Petersburg, including a self-guided tour that leads visitors from the ferry terminal to the quaint downtown area. Or, try Hammer Slough, full of squawking seagulls and creaky wooden pilings that sometimes house things like jellies or mussels on their slippery sides. Big adventures include a paddle around the area with Tongass Kayak Adventures, with double kayaks and snacks provided for families. Temsco Helicopters takes visitors up to chilly Patterson Glacier and/or the Stikine Icefields. The two-hour tour is knock-out gorgeous, and just the right length for kids. We also enjoyed purchasing a fishing kit at the local store and tossing a line off local docks. Watch for sneaky sea lions, though! Lovely little Haines, home to glaciers, wildlife, and lots of kids! HAINES. Home to bald eagles, brown bears, and lots of character, Haines is one of our favorite communities in southeast Alaska. While some cruise lines do stop in Haines, many divert to nearby Skagway, but a fast ferry is available between the two cities, creating some wonderful options for family fun. 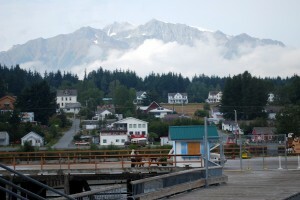 Haines is also one of just two southeast communities on the road system (the other is Skagway), and serves as a vital link between the Alaska Marine Highway ferries and highways of Interior Alaska and the Yukon Territories. The Haines Convention and Visitors Bureau can assist newcomers with walking tour maps, activity ideas, and help navigating this community without a vehicle. Rent bikes from Sockeye Cycles and pedal around town, or out toward Portage Cove. Stroll to the Hammer Museum or American Bald Eagle Foundation, both withing walking or biking distance from the downtown area. Need to stretch little legs? 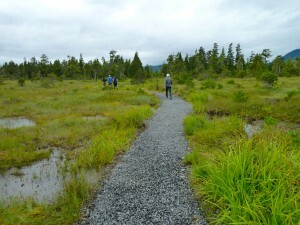 Try the Battery Point Trail, a favorite hike with local families. Only 1.2 miles each way, the trail wanders shorelines and hemlock forests before depositing kids and parents upon a rocky beach where humpback whales often congregate. If simple playtime is all your kids need, do take them to the splendid downtown playground, created with Haines’ youngsters in mind. Wooden and full of Alaska-themed equipment, it’s a great way to take a break. Alaska small town life. It’s simple, neat, and full of quiet adventures the kids will remember forever. Take time to explore the neighborhoods, libraries, and gathering places of small towns. It might lead your family down a different vacation path, entirely. Posted in Miscellaneous, Southeast Alaska and tagged Alaska, Alaska Travel, Family Travel, Haines, Petersburg, Wrangell.